Congratulations to Emma Underwood from the partners and staff of Paul Crowley & Co solicitors. Emma has been offered a permanent position as a Newly Qualified Solicitor following the successful completion of her Training Contract with the Family Law department. Emma joined Paul Crowley & Co in May 2016 after studying Law at Liverpool John Moores University and graduating with a 2:1. 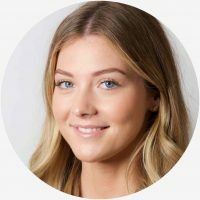 Emma started as a Legal Assistant to the Family Department whilst studying her LPC part time at Liverpool John Moores University. In August 2017, Emma commenced an 18 month training contract within the Family Department. Having gained experience working as part of the Family Law team, Emma is now looking forward to the challenge of her new role within the Family department and will be assisting in Private and Public Children matters. Emma’s responsibilities will include working on Public Law matters involving Local Authorities and Private Children matters dealing with child arrangement orders, special guardianship order and grandparent’s rights. Emma enjoys advising clients on a day to day basis and says the most rewarding part of her job is helping them to achieve their goal and representing them at court. Operating from their two Liverpool based offices Paul Crowley & Co has an enviable track record for staff training. Through their comprehensive structured training programme they are able to offer trainee solicitors the prospect for real career development. 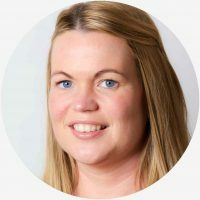 Edwina says: ‘Emma is a valuable member of the team who strives to meet the need’s of her client’s in a professional manner at the highest quality. Emma will continue to flourish in her career as a solicitor in our continuing growth of the Family department’. At Paul Crowley & Co, we are always interested to hear from experienced solicitors looking to join our well respected legal teams, or from trainees looking to start out in the legal profession.